Are you looking for work after half term in Doncaster? Are you a teacher, cover supervisor or sports coach? & people with experience working with children who would like to progress and work in schools. After Feb half term we have lots of short term, long term and day to day assignments in and around the Doncaster area that could be perfect for YOU! We’re holding an open day in Doncaster on Thursday 21st December 2019 so please get in touch if you’d like to come along! 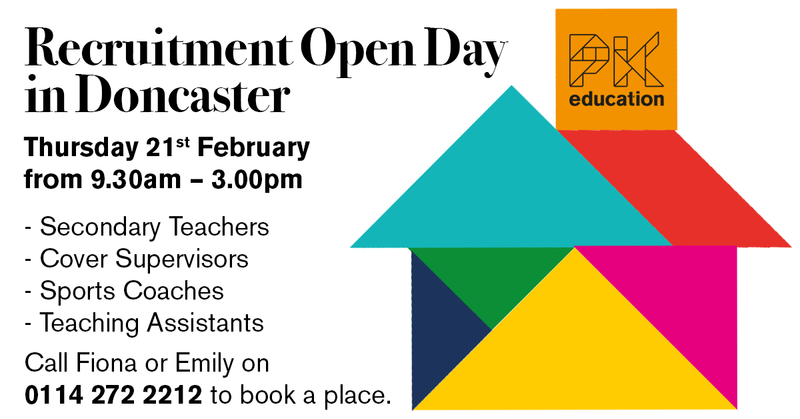 To guarantee your place on the open day, give us a call on 0114 272 2212. We’re also here for a chat if you’d like more information! Doncaster Open Day - come along and register for work in schools after half term!